Atlanta Action Limousines service is your complete chauffeured transportation specialists for metro Atlanta, Augusta, and Greensboro (Lake Oconee) areas and worldwide for since 1993. We will make your special event one to remember. Our wide variety of professional vehicles will provide you with a luxurious environment to enjoy your sweetheart or special guests. Our commitment to quality transportation service and meeting the individual needs of each customer is key to our success. Action Limousines provides complete ground transportation services for every kind of special event. We offer 24 hour service, 365 days a year to meet all of your chauffeured transportation needs. The professional staff at Action Limousines is known for dependability, flexibility and making your ground travel experience stress free. Action Limousines provides door-to-door Atlanta airport limousine services for frequent travelers, families and groups. 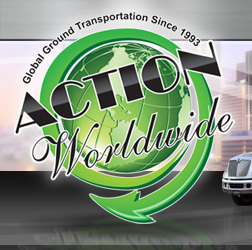 As Georgia's professional provider of ground airport transportation services, Action Limousines goes the extra mile to make sure your travel experience will be trouble-free and dependable. For sixteen years, brides and grooms have experienced the professionalism, dependability, and the luxury of a veteran Georgia wedding transportation company. Allow our wedding limousine specialists to assist you with one of the most important days of your life. Action Limousines can arrange your Atlanta wedding limo service from beginning to end; providing a seamless plan of getting your family and friends from their destination to the church, reception, and back. We provide affordable Atlanta luxury wedding limo services throughout Atlanta, Georgia and worldwide. Experience your prom in style and extravagance in one of our luxurious limousines. Action Limousines provides professional and responsible prom transportation services. 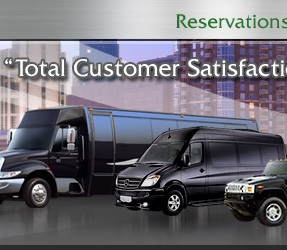 Reserve your limousine early to ensure your date is set aside. Action Limousines provides comfortable traveling accommodations to all theaters, entertainment centers and local musical clubs. Let us handle all your ground transportation needs and sit back and enjoy the moment from the time we pick you and your guest up to the time you return home. Relax as your limousine adds to the evening's excitement and comfort. Action Limousines provides sports fans with the ultimate sporting events transportation. Sit back, relax and enjoy your evening without the worry of fighting traffic or parking. Enjoy your new arrival in the comfort of one of our luxurious limousines. Our professional chauffeurs provide safe and dependable service to your destination.